After 2 days of fever and unknowingly had Dengue Fever during my @CrossFit Level 1 course & exam at @innervatecf, Singapore, I passed my L1 test! 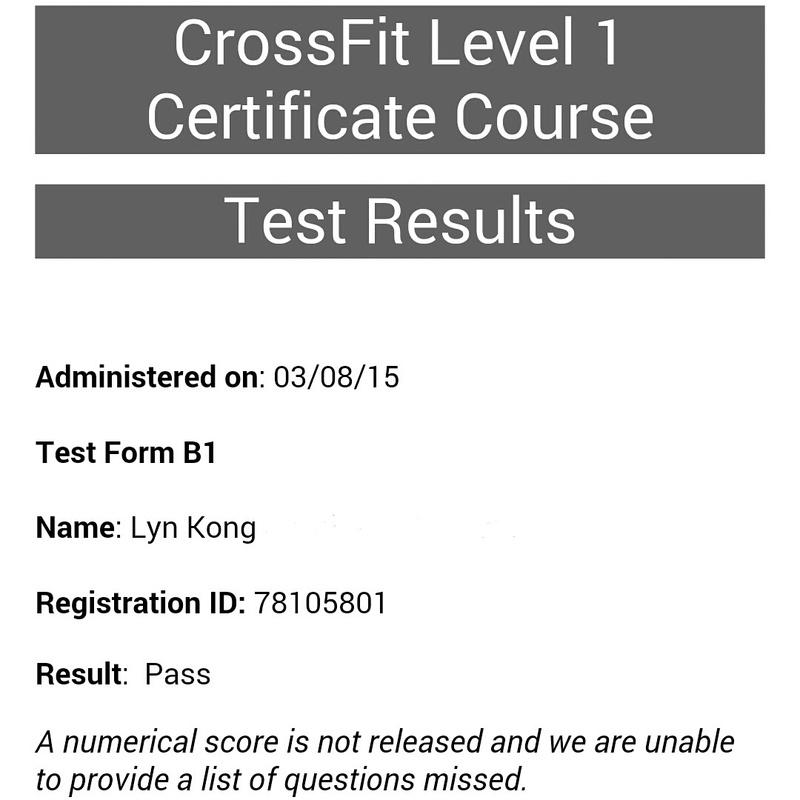 I had taken my first certification 5 years ago at CrossFit FX, Sydney together with Jon, Edmund, Eddie and Karen. Then, after CrossFit introduced the L1 test, I went back to Sydney in 2010 to take the test. All Level 1s need to be recertified every 5 years. Today is the 10th day that I was diagnosed with Dengue Fever. This fever can potentially be life-threatening if not detected early or not getting the right support. I have spent the past 4 days indoors. Lying down, sitting up and walking about at home to ease the boredom. I was not admitted to hospital as I only found out I had Dengue on Day 6. Yes, 3 days of being in KL and the other 2 in Singapore where I had to attend a 2-day course. I could have fainted in Singapore and sent to a hospital there, and cause my guys in KL to worry. Boy, am I GLAD that didn’t happen! To recover, I have been receiving energy or “qi” treatment from my aunty and also consuming papaya leaves juice which is utmost disgustingly like durian juice. I may be Malaysian but I do not consume anything related to the durian. No, no, no! Besides that, I have been home bound and not allowed to go out due to fear that I may just collapse. I didn’t get admitted to the hospital as my platelet count was “too high” to be admitted. Well, I only got diagnosed on Day 6. By then I would be either recovering or…dying. The doctor has advised me to rest more by staying indoors and limit my work to no later than 6pm. I usually start work at 7am with minimal breaks in the middle….and finish at 10pm. So that’s 15-hr days. Knowing me, I will be the most stubborn patient ever in medical history. Ask me to stop, I will GO. Ask me to rest, I will WORK. Sometimes, the bullet is bitter. In my case, friggin’ papaya leave juice. BLEASKJRHJSRSD#@$#@$! So, this year, 2015… I will be cutting down on my clients mid-day and those past 7pm to allow more rest physically and mentally. It’s a stand I will need to make for my well-being. If I don’t take care of myself, who will? My clients? My members? I don’t think so… I will also do more reading and eating. Yes eating too….I need to increase my food intake like alot more or vegetables and fruits. Water too. I’m retiring to my resting place now. Water, recovery & rest.